Did you know that there are certain foods that you can eat that will help you burn fat and reveal your six pack you have hidden under that layer of fat? 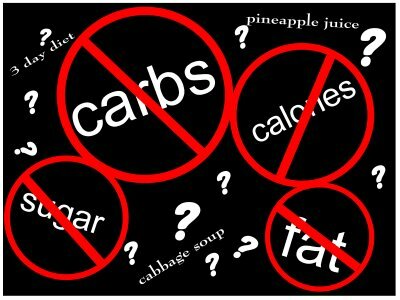 Think that low carbohydrate diet you are torturing yourself with is the best option to burn fat and build muscle? My regular readers know how I go on and on about eating whole unprocessed foods and their benefits, versus refined packaged foods with ingredients like trans fats and high fructose corn syrup. Well it turns out one of the fitness industry's top experts now only tell us that this is good for us, but it is also the best option for revealing what we all desire... six pack abs! Earlier in the week I posted Part One of a two part interview between Men's Health writer Craig Ballantyne and Certified Personal Trainer and fitness author Mike Geary, where they discussed various abs training mistakes people are making that inhibit them from revealing their abs. Here is the second part of that interview where nutrition is the focus, primarily which foods are the best for showing off your abs, and which ones which will see your abs stay covered by a layer of fat. CB: And finally Mike, 1 or 2 of your top secret nutrition tips for losing body fat to carve out those abs. Open your vault of info! MG: Well Craig, I think you'd agree that there has never been a more confusing time regarding proper nutrition for consumers. Every so called "expert" out there seems to disagree and contradict each other on what's the best way to eat for fat loss and overall good health. One of the most important messages I try to teach my readers in this world of heavy confusion is that your diet doesn't need to conform to any of the fad diets... you don't need to go "low carb" or "low fat", or high or low anything for that matter to be successful in losing enough body fat to get lean enough to be able to see your abs. I like to try to simplify things for my readers. I think that balance is the key to success along with eating a diet that is made up of nutrient dense foods in their natural state (as unprocessed as possible). In general, it is the heavy processing of foods that makes it wreak havoc inside our bodies. Most foods in their natural unprocessed state are inherently good for us. Of course there are always exceptions... a salad of poison ivy leaves is "natural and unprocessed" but certainly would not be good for us! 1. Get enough quality protein in the daily diet - not only does it have a higher thermic effect than carbs and fat (so you burn more calories digesting it), but it also creates satiety so your hunger is satisfied longer. Plus it's a building block for maintaining and building lean muscle... And remember that the amount of lean muscle you carry is one of the main factors for controlling your metabolism. 2. Think fiber! 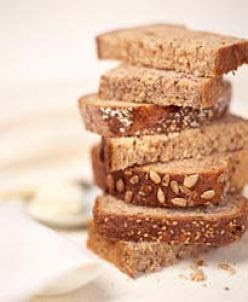 When it comes to carbs, make sure that almost all of your carbohydrate intake is from higher fiber sources like vegetables, fruits, and high fiber unrefined grains. Try to avoid refined sugars and refined grains as that is one of the main reasons so many people struggle with body fat. I personally don't eat many grains as I prefer to get most of my carbs from veggies and fruits, but I'll admit I am a bit of a fan of sprouted grains. I generally recommend looking for carbohydrate sources that have at least 2-3 grams of fiber per each 10 grams of total carbs. Remember that fiber helps fill you up and also slows down the glycemic response of the foods you eat, all beneficial for getting super lean. 3. Don't be afraid to eat fat! 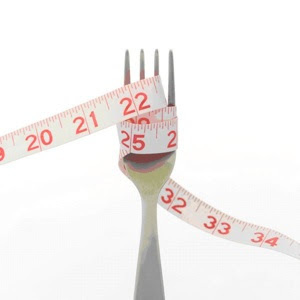 Many people try to go way too low on their fat intake and this can negatively affect hormone levels in your body as well as causing more cravings. Try to eat enough healthy fats daily. 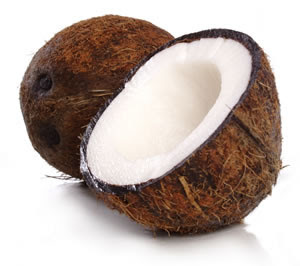 Good sources are all nuts and seeds, nut butters, avocados, olive oil, organic meats and eggs, coconuts and virgin coconut oil. On that note, saturated fats from tropical oils are VERY misunderstood, even by many nutritionists and other health professionals. Yes they are composed highly of saturated fats, but are actually beneficial (but that's way beyond the scope of this article). 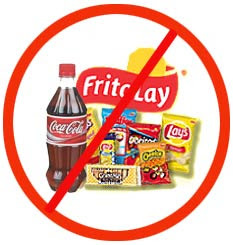 Again, if you avoid processed foods, it becomes easy to avoid these two worst offenders in our food supply. I always contend that once you get a handle on these 4 main points of your diet detailed above, the rest starts to take care of itself as you gain control over your appetite, blood sugar levels, hormone levels, etc. It all falls into place, and you eventually gain total control over how lean you want to get.